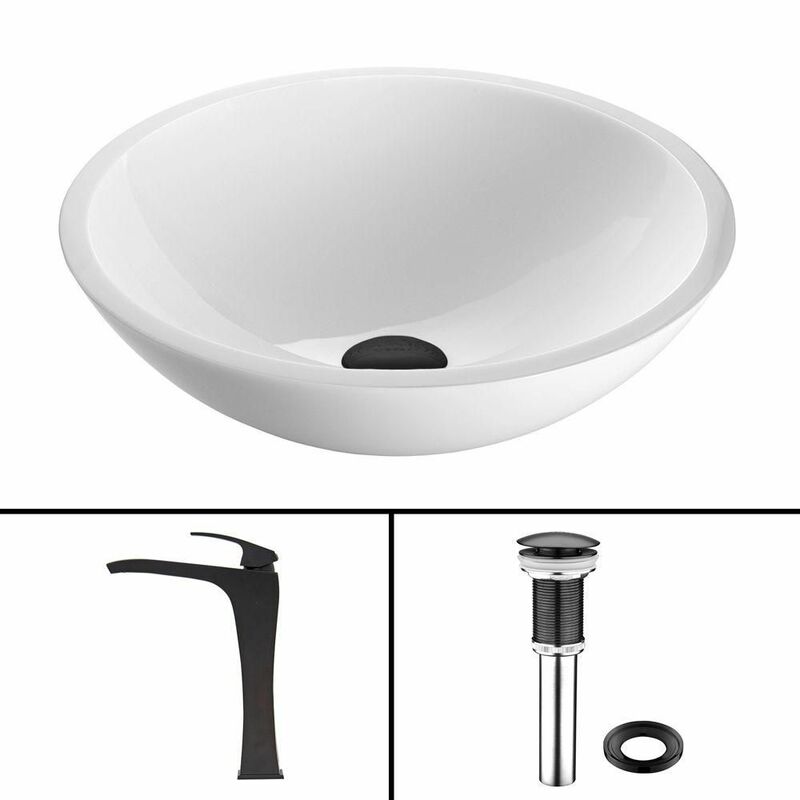 Flat Edged Stone Vessel Sink in White Phoenix with Blackstonian Faucet in Matte Black is rated 5.0 out of 5 by 1. Rated 5 out of 5 by RikG from Great Looking Sink and Faucet Didn't think this would look as good as it does! The contrast of gloss finish on the inside and matte finish on the outside of the sink is superb. The matte black faucet looks great with our black granite countertops.